I'm going to start out by jumping straight into this review. This show blew me away. You know when you are looking for something new to watch, and you start something just because meh it's on netflix and only 25 mins, why not. Then 3 hours later you are binging and finding out when the next episode will be at your fingertips. Thats what happened with this show. The whole premise of the show is fantastic, Kristen Bell is amazing, Jameela Jamil is really funny (who knew her from the T4 days!) Ted Danson is perfect and ah I just absolutely love this show. I really don't want to give too much away because thats what drew me in straight away. I would highly recommend this show if you like any of the cast, comedy or just something new and different. I've missed being excited for a TV show again and it feels just like The Office or How I met your mother days again. 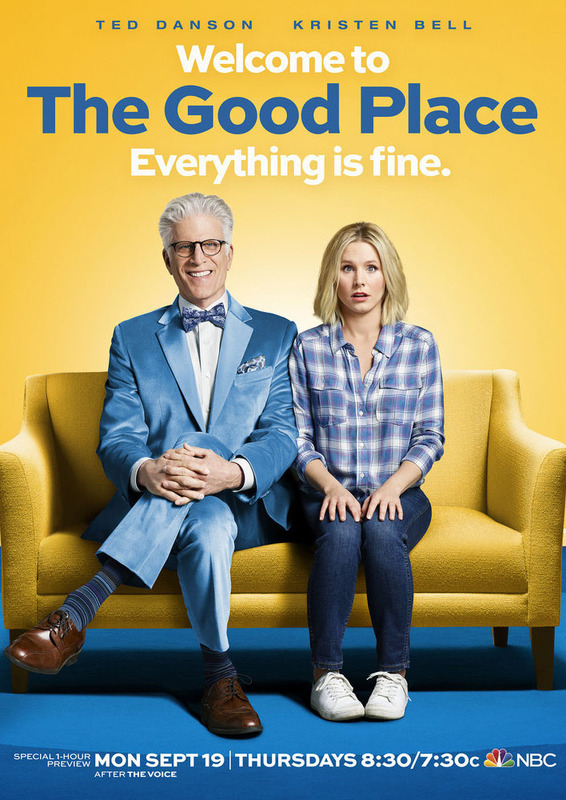 Have you been watching The Good Place? What do you think?